Historically, Filipina/o Americans have been one of the oldest and largest Asian American groups in the United States. In this pathbreaking work of historical scholarship, Dorothy B. Fujita-Rony traces the evolution of Seattle as a major site for Philippine immigration between World Wars I and II and examines the dynamics of the community through the frameworks of race, place, gender, and class. 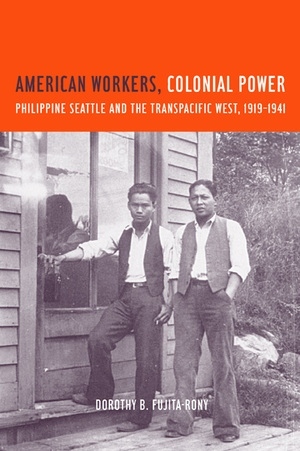 By positing Seattle as a colonial metropolis for Filipina/os in the United States, Fujita-Rony reveals how networks of transpacific trade and militarism encouraged migration to the city, leading to the early establishment of a Filipina/o American community in the area. By the 1920s and 1930s, a vibrant Filipina/o American society had developed in Seattle, creating a culture whose members, including some who were not of Filipina/o descent, chose to pursue options in the U.S. or in the Philippines. Fujita-Rony also shows how racism against Filipina/o Americans led to constant mobility into and out of Seattle, making it a center of a thriving ethnic community in which only some remained permanently, given its limited possibilities for employment. The book addresses class distinctions as well as gender relations, and also situates the growth of Filipina/o Seattle within the regional history of the American West, in addition to the larger arena of U.S.-Philippines relations. Dorothy B. Fujita-Rony is Associate Professor of the Asian American Studies Department and Affiliate to the History Department at the University of California, Irvine. She coedited Privileging Positions: The Sites of Asian American Studies (1995).